I have to be totally honest with you about this subject, if you’re not Paris Hilton nor have the money JLo has, your wedding expenses might be way out of your reach. So let’s be realistic, you want to have the wedding of your dreams without going bankrupt, right? But the reality is that if you go to a nice hotel or banquethall and ask them for a quote, it won’t be less than $35 + taxes per person. Are you calculating? Yes, it’s a lot of money when you have to add decorations, photographer, videographers, limo and all the details about a wedding. I went through the same process you might be going through right now, calculating, budgeting, saving plans and asking for quotes. However, the best advice that I can give you is that you take the time to do “some” of the wedding planning yourself, you will save a lot of money. In South Florida, there are so many beautiful state parks where you might be able to have your dream wedding and save some money on the side. State parks in South Florida offer a wide variety of places, views, settings and very good prices. 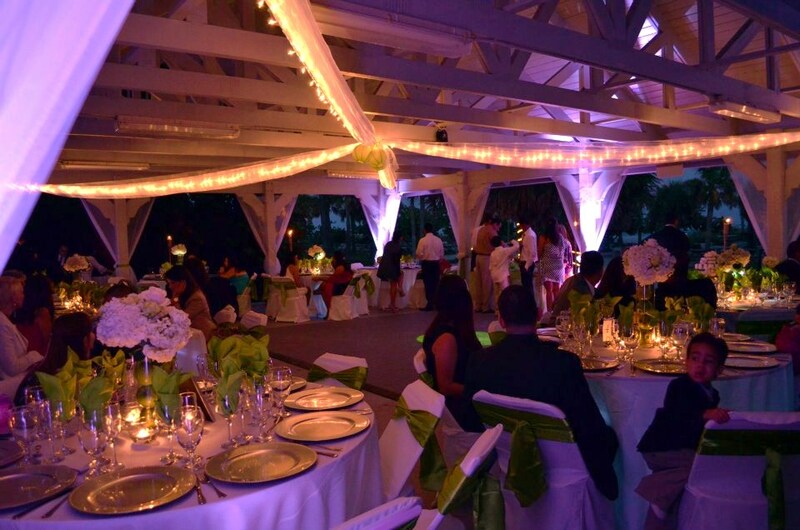 They are perfect for outdoor ceremonies and breathtaking receptions. Note: You are going to have invest some time and money to transform your venue and make it look stunning but it’s worth it compared to the thousands of dollards you would need to spend in one of theses fancy places. I don’t have anything against expensive hotel venues or banquethall, not at all. If you have the money, spend it! But if you are like most brides wanting to save some $$$, this is for you to read. In our 2nd Part of “Affordable Wedding Venues in South Florida” I will you more details about some states parks, locations, amenities and prices. If you are planning your wedding and need some help with advices or looking for a wedding decorating company, just contact us!